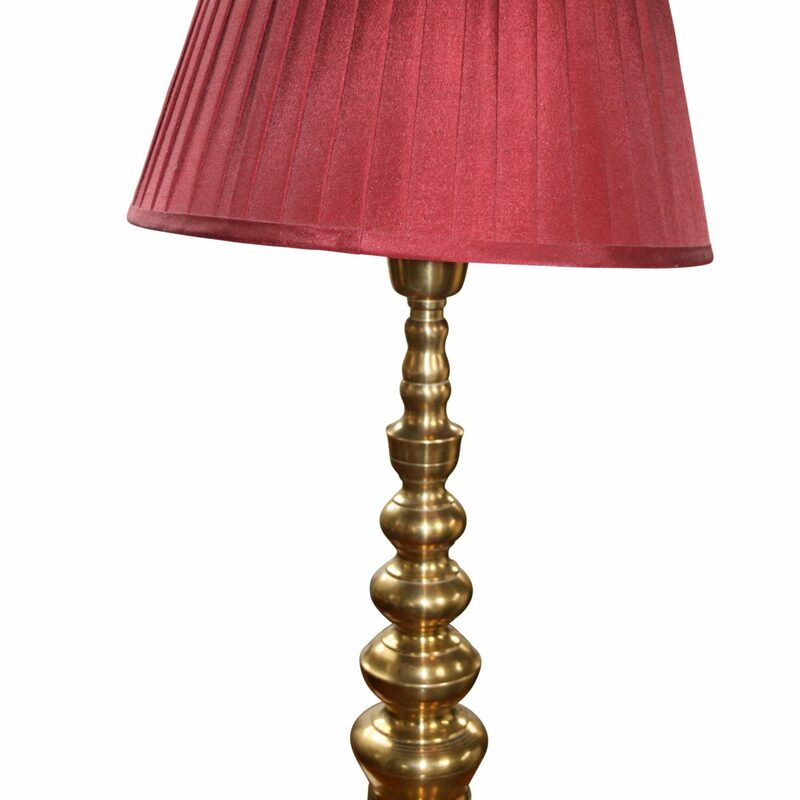 A Victorian brass lamp. 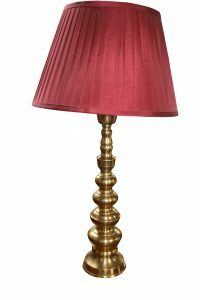 It has a tall base with a series of rounded bumps which get smaller as they move towards the shade. It has a burgundy shade and it has been re-wired.